The light produces a circle of time for a distance which no material particles can shrink to for the same distance, what about neutrinos? For the diagram below which is a whatif situation for superluminal neutrinos read this article also: Is OPERA neutrino posing any serious trouble for light? 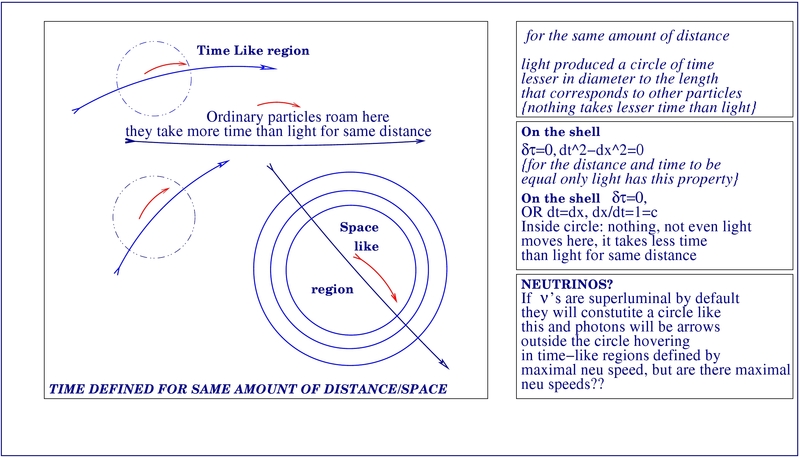 The neutrino Vs the light, are their propertimes properly understood? Are they really invariant the way we understand them now, or there is energy excess?